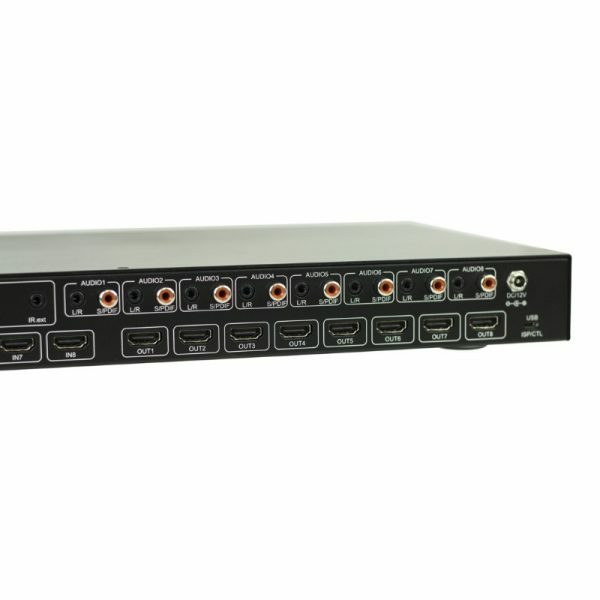 This 8×8 matrix switch has eight inputs and eight HDMI ports capable of handling full 18Gbps video signals with HDR metadata. It is able to do this on the HDBaseT outputs by using AVPro Edge’s ICT technology. 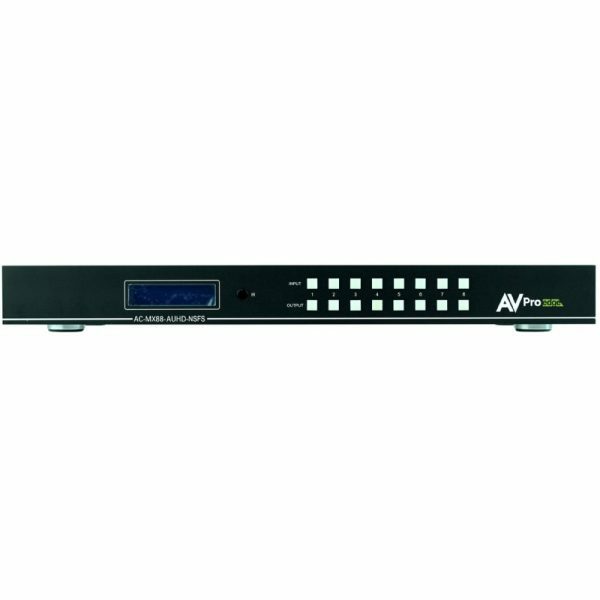 Along with this switches high bandwidth distribution, it’s features include IR and RS-232 control, EDID management, scaling, audio matrix, audio delay and more. 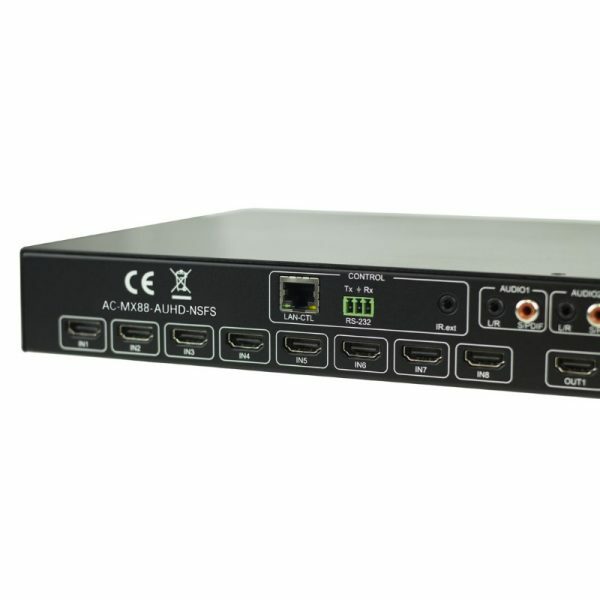 The AC-MX88-AUHD-NSFS is a true 18Gbps 4K60 (4:4:4) 8×8 HDMI matrix switch. Supporting HDMI 2.0(a/b), HDCP 2.2, up to 4K video resolution, and up to 18 Gbps bandwidth. This switch allows any source (Blu-ray, UHD Blu-ray, satellite receiver, game consoles, PCs, etc … ) to be shown on any of the connected displays. This matrix equalizes and amplifies the output to ensure the HDMI signal can be transmitted through long HDMI cables without loss of quality. This matrix was built with switching speed in mind. With the introduction of high bandwidth 4K, switching times increase because of all the added data compared to legacy resolutions like 720p or 1080i/p. In this unit we have removed scaling control and audio delay control in order to give the integrator the fastest possible switching time in a 18Gbps switch. Welcome to the NSFS. 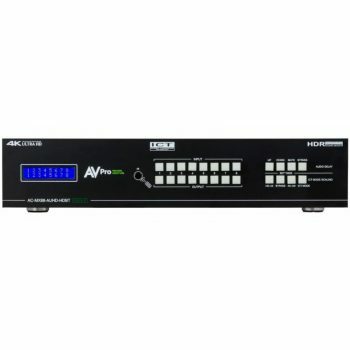 18Gbps 4K60 ~ This EXCLUSIVE AVPro Edge technology allows you to switch the highest possible output from the latest sources used today. Apple 4K, Roku Ultra, Sony PlayStation 4 Pro, Microsoft’s XBOX ONE S, and the newest UHD Bluray players are all outputting signals that most legacy video distribution systems are not able to handle. This switch was built to work with every source listed here plus many many more. 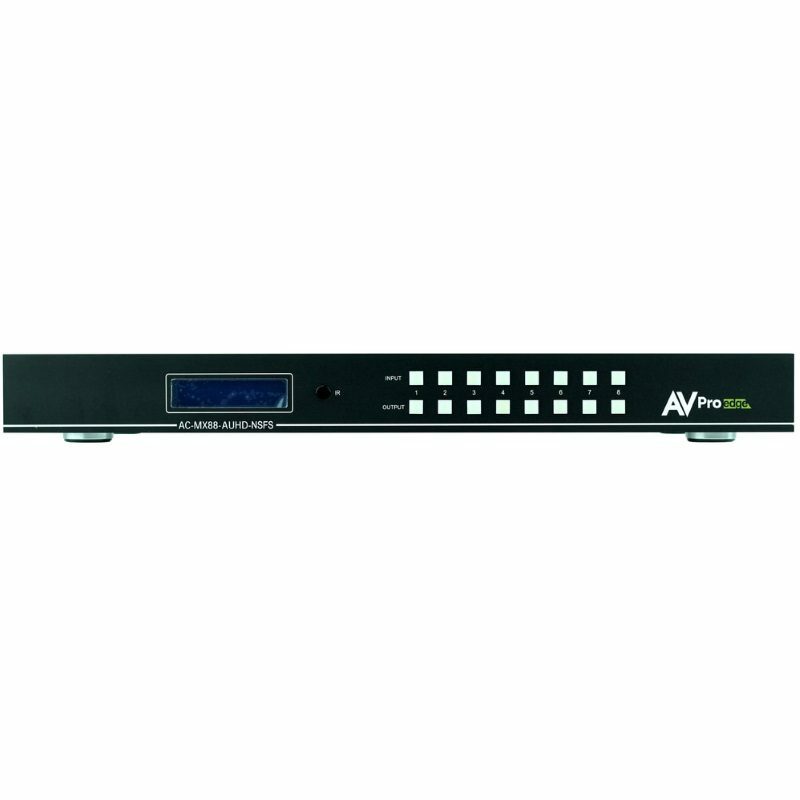 Faster Switching ~ This is AVPro Edges fastest switching matrix on the market. The NSFS stands for “No Scaling, Faster Switching”, and that boils this matrix down perfectly. We have removed the scaling feature that we have on our other 18Gbps switches in order to deliver the fasting swithcing 18Gbps matrix switch on the market with switching speeds up to 2-3 seconds between a switch. 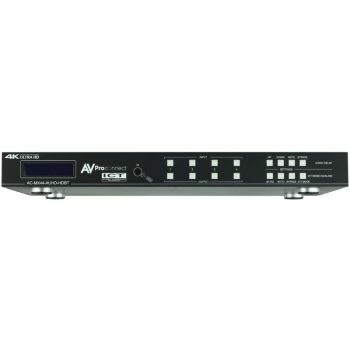 Definition – Matrix switchers provide the ability to route any input to any output or to multiple outputs at any time. Depending on the model, a matrix switcher can route HD, UHD or SUHD content in this manner. Additionally, since most venues have audio zones and video zones the requirement to breakout or strip off the audio in often necessary and has become almost a standard feature on matrix switches. Who uses them? – At the heart of almost every custom install is a matrix switch to ease routing and distribution of signals throughout the install including Audio, Video and Control – so, you have a product that can compete on price, performance, compatibility, and control.